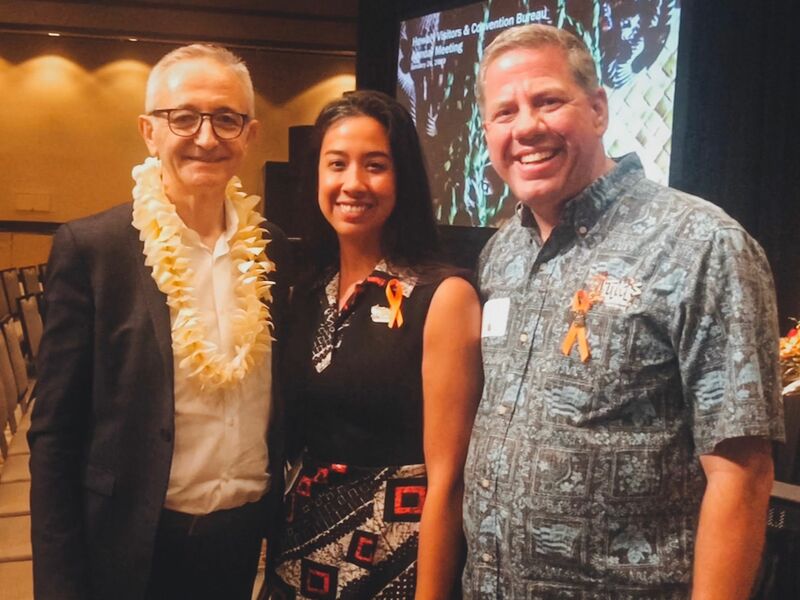 Our team attended the Hawaii Visitors & Convention Bureau's annual meeting yesterday to highlight Hawaii's destination and had the opportunity to meet Hervé Houdré the New York City hotelier and founder of Sustainable Consulting for businesses. He is also an advocate for sustainable development for visitors and residents like reducing plastic in oceans, and perpetuating/ caring for the land and environment. 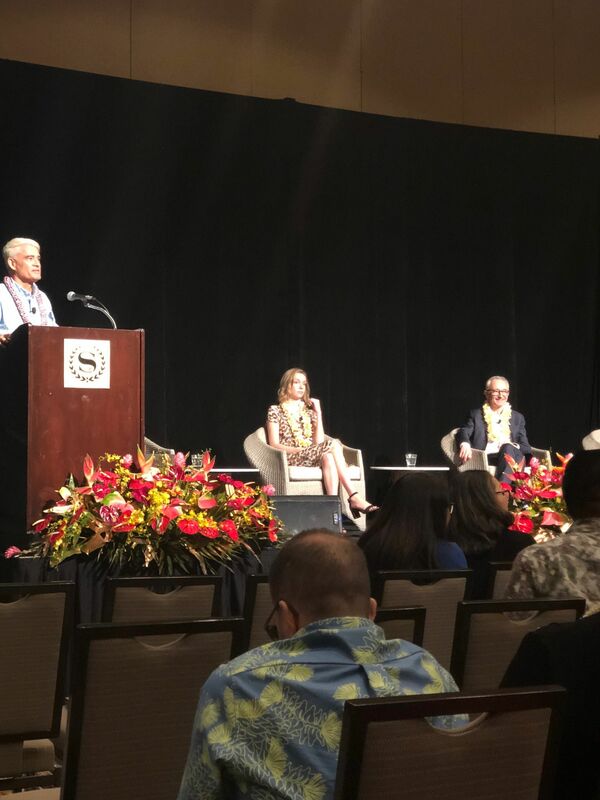 He thanked the Hawaii Food Bank and took the opportunity to donate when he stepped off the plane using it as a positive example to encourage visiting tourists to support local programs, offsetting your carbon footprint when traveling to give back to local people and their mission. 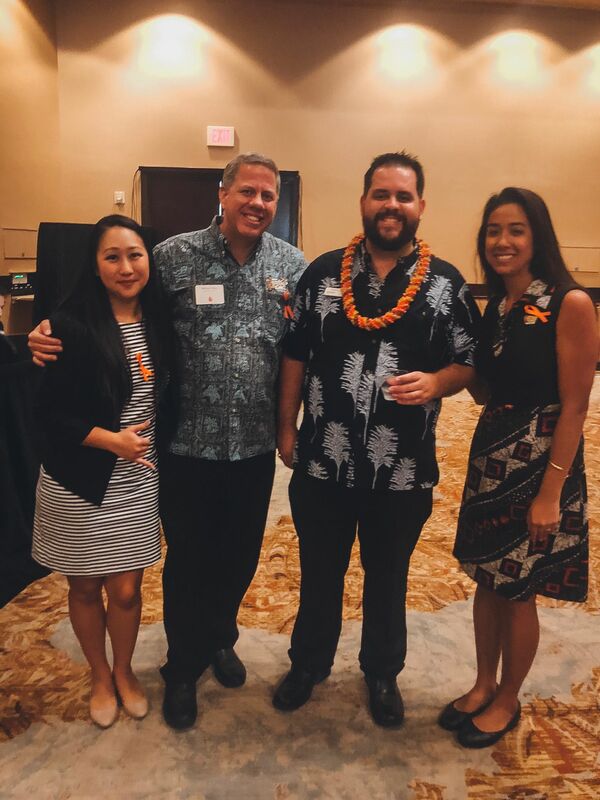 We gave him the Hawaii Food Bank's pin to support their 30th Annual Food drive and mission to supply 1 million meals to Hawaii's hungry.